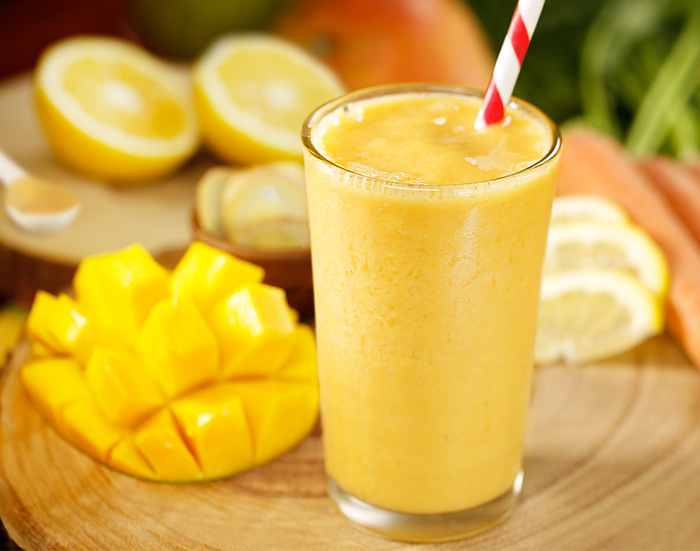 Make this quick and simple drink with fresh and fruity mango taste! Place ice cubes in blender container or food processor and chop. Add chopped mango, lime or lemon juice and process until thick and smooth. Pour into chilled glasses and serve immediately. Garnish with a mango wedge in center of cup if desired.